Discussion in 'Colorado' started by Kappes03, Jan 1, 2011. I know in years past civilians could do it. You had to go through a certain gate and I believe signup prior to the event. Anybody planning on doing Spartan races this year? 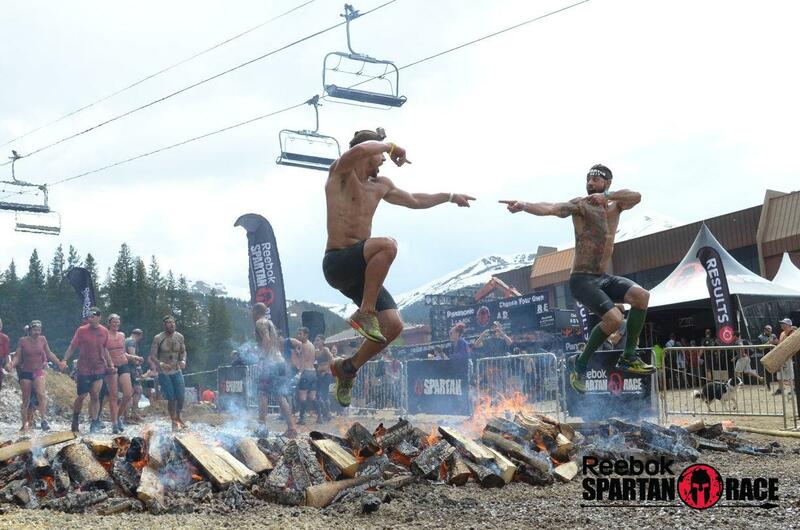 I wanted to do the Spartan Sprint on Ft Carson. But I don’t have an ID anymore. Wasn’t sure if they open up the base for civilians or vets or it’s just a military only affair? I did one at the base in CO Springs about two years ago. I am a civilian. P.S. I would NEVER go do one of those stupid things again. I felt like I was one of the cowboys in Blazing Saddles and needed a bag of dimes to go through the toll booth. Nothing stupider than climbing over a 12' thats only 15' wide wall when you are in the middle of a huge field. teamhypoxia, cshrum and w.adventures like this. CharlieCafe and johntoyota like this. As others have said, it's open to civilians. I ran the one at ft. Carson the first year they did it. Was a lot of fun. Then I ran it again the next year and it was really crowded and not much fun because I spent just as much time waiting in line as I did actually moving. That was a few years ago, so maybe the fad behind obstacle course races has died down since then, but I think the shortness of the course down there attracted a lot of over wieght/out of shape people who thought a few miles wouldn't be too hard......I was catching up to people who had a 15 minute head start within a few minutes of my start. JasonLee, rando451, CharlieCafe and 2 others like this. As you get older, you will start to gain what is called wisdom. This is typically gained through what is called, experience. Experience it now so that you will have the wisdom later to know that they are dumb. CharlieCafe, Littles, 303tacoma and 3 others like this. JasonLee, CharlieCafe, johntoyota and 1 other person like this. Well I’m in my 40s and my experience has taught me that with every year on the clock, my chances of getting fatter and buying a Tacoma go up exponentially. ...and I already bought the Tacoma. CharlieCafe, 303tacoma and johntoyota like this. Im glad you got your truck before you fall off one of those stupid walls and cant drive anymore. JasonLee, CharlieCafe, w.adventures and 1 other person like this. We could skip the first 11.9 mile and just go straight to the finish line for our glamour shot..... Or just go camping, build a fire and take a picture then. CharlieCafe, 303tacoma, w.adventures and 2 others like this. CharlieCafe, CO MTN Steve and johntoyota like this. And risk getting eaten by a mountain lion?! .....one of those dreaded homeless greenpeace hippies?! No thanks, I’ll take my chances with the wall. Ironcross6921 Not done breaking stuff yet. Thanks now I don't need to be that guy. MrWednesday and Apollo14 like this. And you’re allowed to skip the wall if you can’t do it. HA! Its more a matter of feeling dumb as opposed to ability. I seriously couldnt get Blazing saddles out of my head. CharlieCafe, GoldenBrew, Red Baron and 1 other person like this. Yep. Thats what I felt like to a T! Whoever heard of a toll booth in the middle of the desert?!?! JasonLee and CharlieCafe like this.